What is REACH and why do we talk about it? Pure nicotine, nicotine bases and e-liquids manufacturers need to comply to REACH guidelines and regualtions. What is REACH? Why is it so important to be REACH compliant? REACH is one of the most important regulations of the European Parliament and of the Council that is already in force in whole EU from 1 June 2007. It concerns chemical substances and affects many producers, importers and downstream users and also has an impact on our everyday life even if we don’t know about it. For start lets decode this misterious name which is an acronym and comes from first letters of this phrase: Registration, Evaluation, Authorisation and Restriction of Chemicals. Decoding of this name immediately shows us what are the main goals and tasks of this (considered by many as difficult and complicated) regulation. First article of this law says that the purpose of this Regulation is to ensure a high level of protection of human health and the environment, including the promotion of alternative methods for assessment of hazards of substances, as well as the free circulation of substances on the internal market while enhancing competitiveness and innovation. As a general rule, REACH applies to all chemicals (with some exceptions) not just those used in industrial processes but also those used in our daily lives, such as cleaning agents or paints, as well as components of many products such as clothing or furniture. This is why the Regulation applies to most companies in the European Union. As required by the regulation, companies must identify and control the risks associated with substances manufactured and marketed in the EU. They must demonstrate that the substance can be used safely and inform users how to decrase possible risk when handling the substance or its mixtures. If risk management is not possible, the use of substances can be limited in many ways. In the longer term, the most dangerous substances should be replaced by less dangerous substitutes. 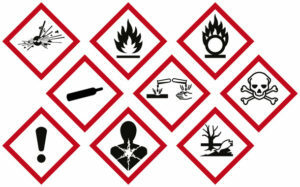 The REACH Regulation establishes procedures for collecting and evaluating information on the properties of substances and the risks involved. Companies must register chemicals and to this end they must cooperate with other companies registering the same substances. Did you know that currently companies that want to produce or import for example nicotine in quantites more than 1 ton per year have to possess a special pre-registration number for this substance? And that by 1 June 2018 this pre-registration has to be transformed into full registration? Otherwise you won’t be able to place your product on the market and you may face high fines or even jail depending on the country. When it comes to our industry as a producer of e-liquids based on nicotine, we are pleased to inform that nicotine used by us is already pre-registered and our specialists are working on full registration process of our pure nicotine to make it before next years deadline. There is much more duties and costs involved in the process, if you are interested in more info simply visit www.echa.europa.eu run by the European Chemicals Agency or wait for our next article in which we will tell you more about CLP which is a major part of REACH.